I confess, I wanted to share some sort of monthly motivation every month on the first Monday, but I managed to miss it this month. 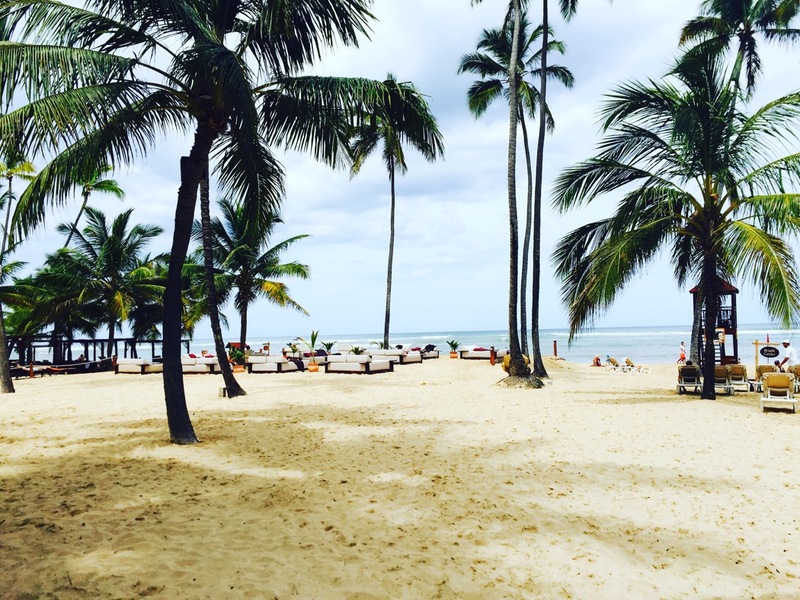 The reason is a good one though… I was on vacation with my bestie in Las Vegas & Dominican Republic. May I boast but DR is such a beautiful place, with great people and incredible hospitality. I would 100% recommend anyone to visit. I’ll insert my favourite picture below.. This post isn’t about my vacation, although I’m sure you would love to hear all about it but this post is about ‘Purpose’. To refrain from sounding “Preachy” I just thought I’d share my thoughts and reflections on the topic. So in short, all of us have a purpose. Some of us know what it is and some of us don’t. The reason I wanted to do a brief post on Purpose is mostly because, it’s something that’s been on my mind. This one thing we call purpose, I feel is at the very core of who we are. Discovering, unfolding, growing, embracing and fulfilling our purpose in life gives us great satisfaction and deep fulfilment and I’m not talking about the kind of fulfilment that is boastful or cocky but the kind of fulfilment that makes you feel right where you should be, doing exactly what you should be doing, this is at least when we come to knowing what ‘it’ is. Lately, I found myself asking God not what my purpose is but what the point of it is. Who would it benefit? What is the bigger picture to it all? I always have so many questions. I know it takes a bit of time for some of us to discover and even become confident in pursuing that which makes you feel you – Your purpose, Over time I’m learning the most important thing about our purpose is not our gift (Even though often times our gift and purpose work hand in hand), It’s never about what we accomplish in pursuing our purpose or even how many people come to respect and acknowledge it in the process… it’s understanding where purpose comes from, who it comes from and the purpose behind you and I fulfilling it. We all have something God has given each and every one of us to use for the benefit or those around us. How we use it to make impact, change lives, be of help, make positive change, inspire, innovate, and create is what makes how we give glory to God so unique and special to each individual. I don’t want to waffle about how to discover our purpose because I don’t believe there’s a formula to it than to simply align ourselves with God’s will. 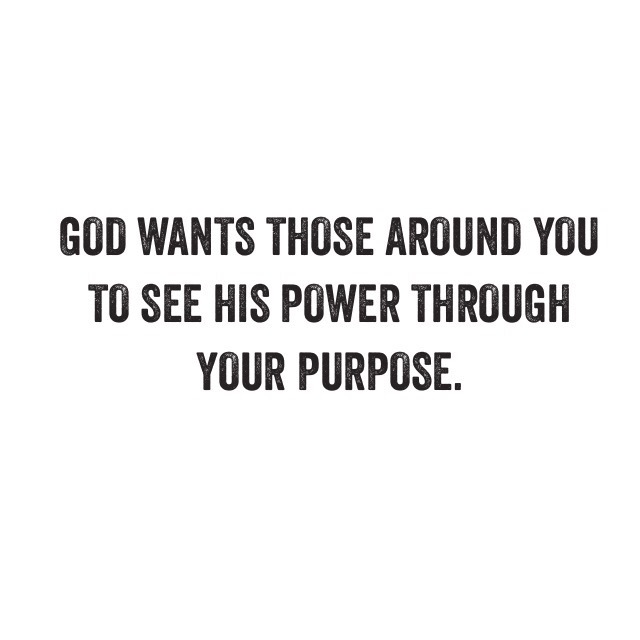 He gives us purpose. Philippians 2:13– what this looks like to me is extending grace onto others in the same measure God has shown me. Loving those around me in such a way that it reflects the heart of God. Not self.Psalm 115.1 – Sometimes we think that our purpose here is for personal gratification, at least I used to think so. Then, I learned that this only satisfies the desires of the flesh and comes from a place of selfishness. If I’ve learned anything about anything I’ve come to know that God is in the business of people – You and me. All the extra stuff isn’t near as important as how he wants to work in us and through us, it’s like in Genesis 11:4 when mankind became skilled in construction and decided to build The Tower of Babel with the intention to make a name for themselves, bring attention to their own abilities and glorify self instead of God. Sometimes we make our successes and achievements a Tower in our life bringing glory only to ourselves when it should be to God who is our source. So what am I saying…? I guess what I’m saying is God wants those around us to see His power and His Glory through our Purpose which He gave us to fulfil. What that is may not be clear to you but it’s very clear to Him and I’m learning the more we align ourselves to His will, the clearer it all becomes. Over time it’s become apparent to me that how we view our purpose determines largely how we use it. Comparison steals everything good in you and comparing our personal purpose to other people’s is a sure way that robs us of the opportunity to not only allow God to shine through us but to live the colourful and fulfilling life God promises us.